My future perspective as a historian was influenced, too, by my very conservative religious upbringing. The Brethren in Christ church, an offshoot of the Mennonite church, took seriously the biblical injunction “Be not conformed to this world.” The members did not vote, generally refused military service, and dressed very plainly-no neckties for the men; head coverings, cape dresses, and dark stockings for the women. They avoided the movies and other worldly amusements, and viewed the secular power of the state with profound skepticism. I’m no longer a part of that subculture (which in any event is very different today), but its influence has shaped my life and work. My senior-thesis advisor, Roger Brown, steered me to a fascinating topic: the Federalist party’s reaction to the Louisiana Purchase. Research at the Massachusetts and Connecticut historical societies gave me a first taste of using primary sources in a milieu redolent of the past. (One elderly lady at the Connecticut Historical Society asked where I was from. When I told her Ohio, she replied, “Oh yes, Western Reserve country.”) To my great excitement, Roger Brown mentioned my thesis in a footnote in his 1964 book The Republic in Peril: 1812. By 1967, with Ph.D. in hand, it was time to find a teaching job. Notable American Women was fun, but obviously no lifetime sinecure. I had married Ann Talbot, then a student at Radcliffe College, in 1962, and now our first child was on the way. We hoped to stay in New England, so on a map I drew a semicircle around Boston with a radius of about a hundred miles and sent letters to history departments where I thought I might have a shot. Soon after, Howard Quint, the head of the History Department at the University of Massachusetts-Amherst, phoned and invited me out. Howard rounded up a few department members and I gave a “job talk” that consisted of summarizing my Ph.D. thesis. He took me to meet the dean, and after they chatted briefly, Howard offered me a job at the munificent salary of $10,000 a year. That’s how things worked in those days. Antiwar protests and a factionalized department made those early years of teaching the most intense of my career. With campus strikes, moratoria, and marches on Washington, every spring semester from 1967 to 1970 ended with classes disrupted or cancelled entirely. Rashly signing up to give a workshop on Vietnamese history, I crammed the evening before from a book by Bernard B. Fall (killed in Vietnam in 1967). I expected ten or twelve people; the hall was packed. Another evening, several of us led a teach-in on the war in a campus dormitory. As the discussion went on, a young woman said tearfully: “My brother was just killed in Vietnam. Are you telling us this war is wrong?” Again I was reminded that “history” is not just something that we write about. History happens to people. If the large concepts with which historians conventionally deal are to have any meaning, it is only as they can be made manifest in individual cases like these. The problems which confronted Salem Village in fact encompassed some of the central issues of New England society in the late seventeenth century: the resistance of back-country farmers to the pressures of commercial capitalism and the social style that accompanied it; the breaking away of outlying areas from parent towns; difficulties between ministers and their congregations; the crowding of third- generation sons from family lands; the shifting locus of authority within individual communities and society as a whole; the very quality of life in an unsettled age. But for men like Samuel Parris and Thomas Putnam, Jr., these issues where not abstractions. They emerged as upsetting personal encounters with people like Israel Porter and Daniel Andrew, and as unfavorable decisions handed down in places like Boston and Salem Town. It was in 1692 that these men for the first time attempted (just as we are attempting in this book) to piece together the shards of their experience, to shape their malaise into some broader theoretical pattern, and to comprehend the full dimensions of thoses forces which they vaguely sensed were shaping their private destinies. Oddly enough, it has been through our sense of “collaborating” with Parris and the Putnams in their effort to delineate the larger contours of their world, and our sympathy, at least on the level of metaphor, with certain of their perceptions, that we have come to feel a curious bond with the “witch hunters” of 1692.But one advantage we as outsiders have had over the people off Salem Village is that we can afford to recognize the degree to which the menace they were fighting off had taken root within each of them almost as deeply as it had in Salem Town or along the Ipswich Road. It is at this level, indeed, that we have most clearly come to recognize the implications of their travail for our understanding of what might be called the Puritan temper during the final, often intense, and occasionally lurid efflorescence which signaled the end of its century-long history. For Samuel Parrish and Thomas Putnam, Jr., were part of a vast company, on both sides of the Atlantic, who were trying to expunge the lure of the new order from their own souls by doing battle with it in the real world. While this company of Puritans were not purveyors of the spirit of capitalism that historians once made them out to be, neither were they simple peasants clinging blindly to the imagined security of a receding medieval culture. What seems above all to characterize them, and even help define their identity as “Puritans” is the precarious way in which they managed to inhabit both these worlds at once.The inner tensions that shaped the Puritan temper were inherent in it from the very start, but rarely did they emerge with such raw force as in 1692, in little Salem Village. For here was a community in which these tensions were exacerbated by a tangle of external circumstances: a community so situated geographically that its inhabitants experienced two different economic systems, two different ways of life, at unavoidably close range; and so structured politically that it was next to impossible to locate, either within the Village or outside it, a dependable and unambiguous center of authority which might hold in check the effects of these accidents of geography. 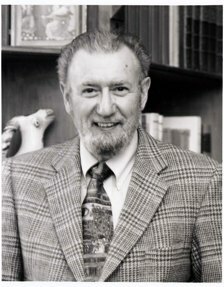 “Paul Boyer, a professor of history at the University of Wisconsin in Madison, describes all this with care and nuance and includes much that is less well known: appeals for world government; religious protests; dreams of atomic-powered technology; visions of Utopia and its opposite; advice from the professions; literary, cinematic and musical commentary. The sheer volume of the material is astounding. In this five-year period, education journals alone ran 260 articles relating to the bomb. The problem, Mr. Boyer writes, was “deciding when to turn off the tap”….. As careful as he is with the evidence, Mr. Boyer is clear about where he stands. He tells of his own pacifist origins and readily confesses his inability to follow Henry Adams’s dictum that to the honest historian “even the extinction of the human race should merely be a fact to be grouped with other vital statistics.” His depth of concern comes through in sharp prose…. 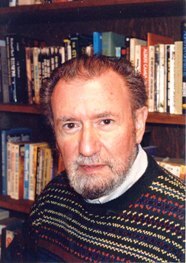 A wide-ranging historian who has written important studies of both the Salem witch trials (with Stephen Nissenbaum) and 19th-century urban reform, Mr. Boyer has closely studied the responses earlier Americans made to perceived threats to their well-being. And he does not omit pointing out “how the early discussions of the bomb’s implications often moved in well-worn grooves.” Among these grooves was the fear of concentrations of power (Who will control atomic energy? ), worry about mass leisure (What will the masses do when the atom does all the work? ), hostility to the city (Ruralization is the answer to atomic threats) and warnings of apocalypse (Repent before the fire consumes us all)…. Also, general editor of the “History of American Thought and Culture” series, University of Wisconsin Press, 1984-94. Contributor to reference works and collaborative projects, among them Encyclopedia of American History, essay on Bernard Baruch, Frank Kellogg, and Henry Stimpson, Dushkin, 1974; Notable American Women, Supplement 1: The Modern Era, essay on Dorothy Thompson and Blanche Knopf, Harvard University Press, 1980; Encyclopedia Americana, essays on Carrie Chapman Catt, Henry Blackwell, and Antoinette Blackwell; Dictionary of American Biography, Scribner’s, Supplement III, essays on John Macrae and John Woolsey, 1973, Supplement IV, essays on Frank Buck, Frank Crowninshield, Paul Harris, James McGraw, Barney Oldfield, Charles M. Sheldon, Harry Thaw, and Charles Towne, 1974, Supplement IV, essay on Franklin D’Olier, 1977, and Supplement VI, essay on Duncan Hines, 1980; Dictionary of American History, Scribner’s, 1976; Encyclopedia of American Political History, Volume 1, edited by Jack P. Greene, Scribner’s, 1984; Encyclopedia of American Social History, Volume 1, edited by Mary R. Cayton, Elliott J. Gorn, and Peter W. Williams, Scribner’s, 1993; A Companion to American Thought, edited by Richard W. Fox and James T. Kloppenberg, Blackwell (Cambridge, MA), 1995; History of the United States, Volume 5, edited by Donald T. Critchlow and Andrzej Bartnicki, Polish Academic Press (Warsaw), 1996; Encyclopedia of Apocalypticism, Volume 3, edited by Stephen J. Stein, Continuum (New York City), 1997; A History of the Book in America, Volume 4, edited by Carl Kaestle and Janice Radway, Cambridge University Press, forthcoming; as well as World Book Encyclopedia, American National Biography, and Oxford Companion to American Military History.